A scene from India v England at the Kia Oval Cricket ground on day three of the 2011 Test. Sachin Tendulkar & Raul Dravid are the batsmen at the crease. Jimmy Anderson the bowler. 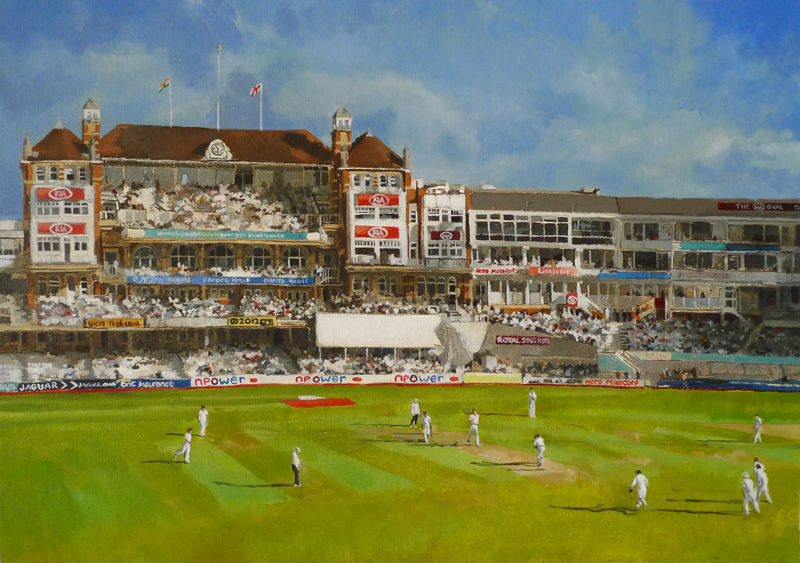 Tendulka has glanced Jimmy to square leg as he searches for his 100th 100 but is later bowled by Swann for 23 in front of an expectant Oval crowd. It was a privilege none the less to see The Little Master Bat.